Do you remember fava beans? I ate fava beans a lot when I was a child they remind me of my childhood. These beans are very nutritious and I am sure your child will love them. 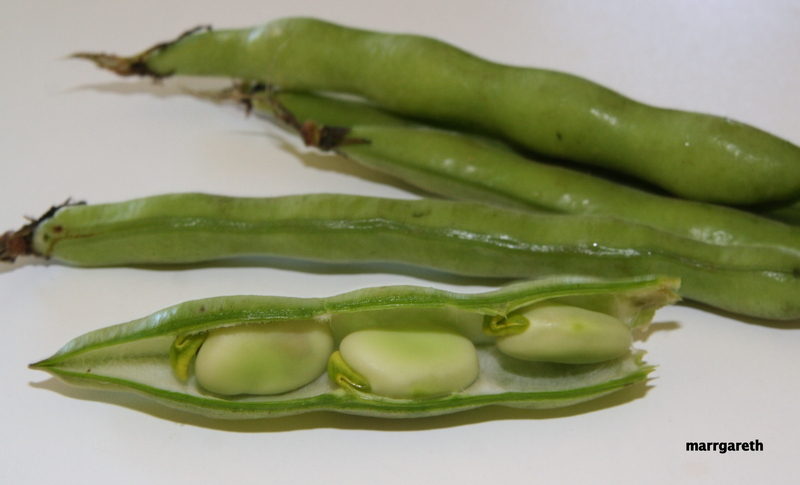 You can cook fava beans in salted water and eat them for lunch or cook them using my recipe and serve them as a dinner side dish. 2 tbsp dill, finely chopped. 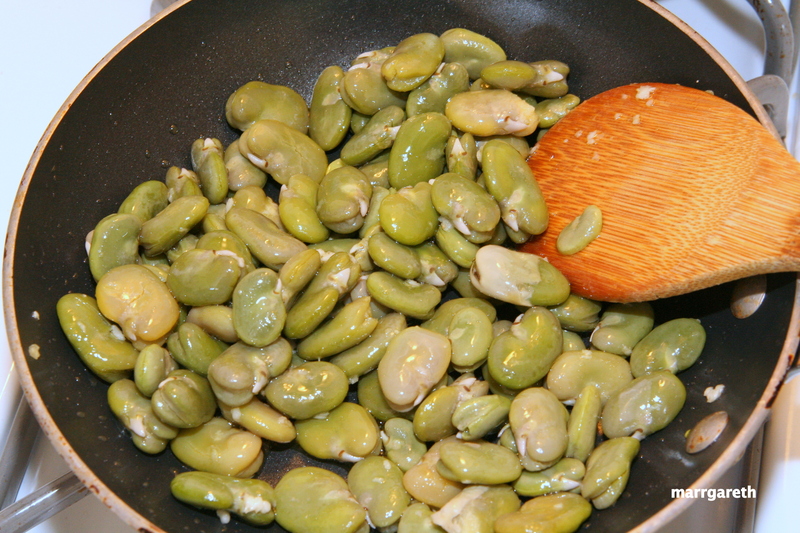 If you buy the fava beans with pads, you need to shell them before cooking. It is easy, so you can let your kids to do that. I am sure your kids will be eager to help. Below you can see how 2 years old kid is working on his fava bean pads. 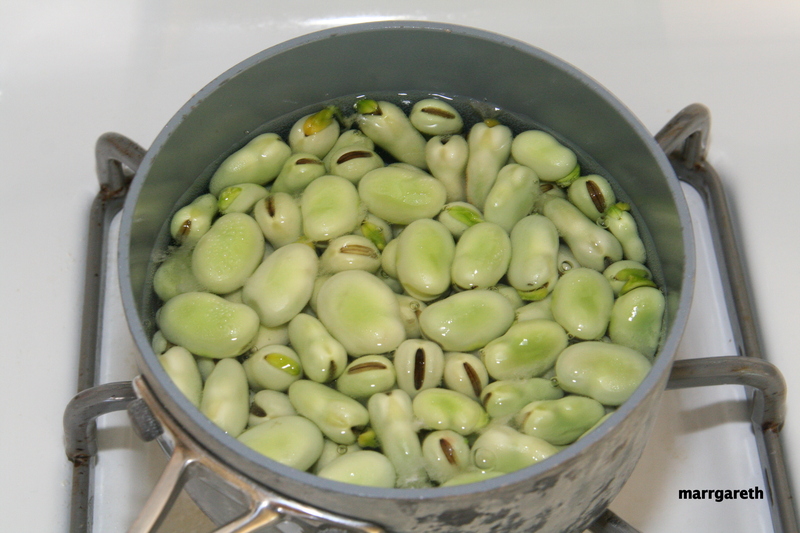 Put the peeled beans, salt and sugar into the saucepan, pour in water so the fava beans will be covered. Cook fava beans for about 10 minutes or until tender. 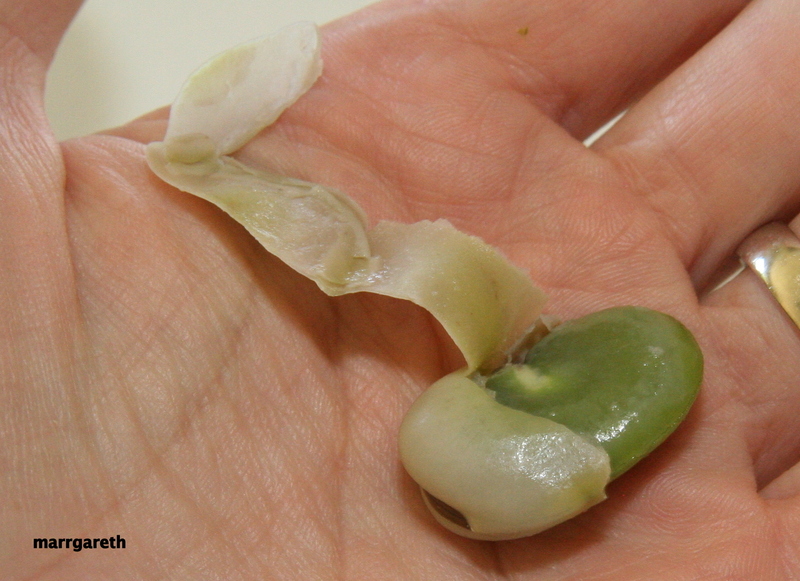 Strain cooked fava beans out, then shower them with cold water to cool them down quickly. 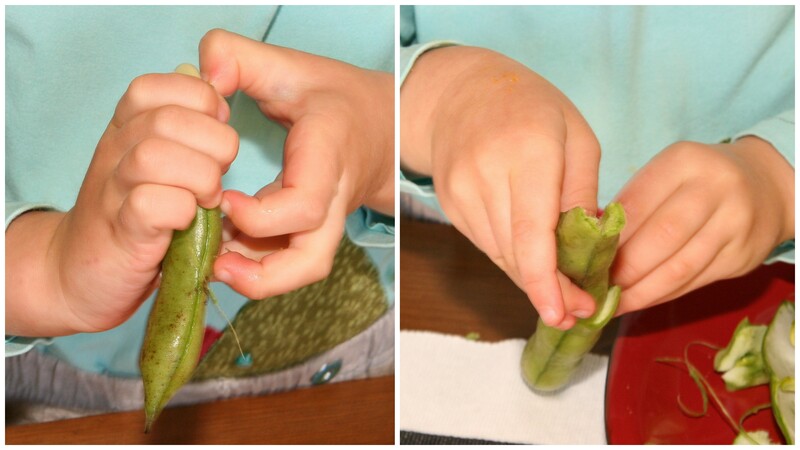 Strain the fava beans out again and peel off the skins. Heat the oil in a small pan, add crushed garlic. Fry the garlic for 20 seconds, stirring. Add peeled fava beans and fry them for 3-5 minutes, stirring. Finally add the dill and mix. You can garnish the fava beans with salt if you like. 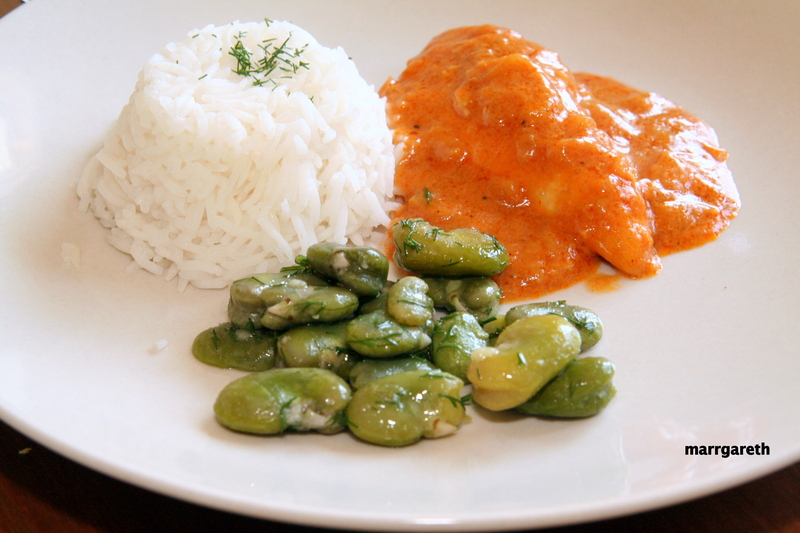 You can serve fava beans with rice and Indian chicken. Looks delicious! I have organic vegetables delivered to my apt twice a month and fava beans have been showing up recently. I was at a total loss as to what to do with them other than tossing them in a salad. I will definitely be trying this next time they make an appearance, thanks for sharing! They look great. I used to make a similar dish – until we figured out that my husband is very allergic to fava beans. I miss them! I understand you, me and my husband love fish unfortunately my kids are allergic to them. We can eat fish only in restaurants.